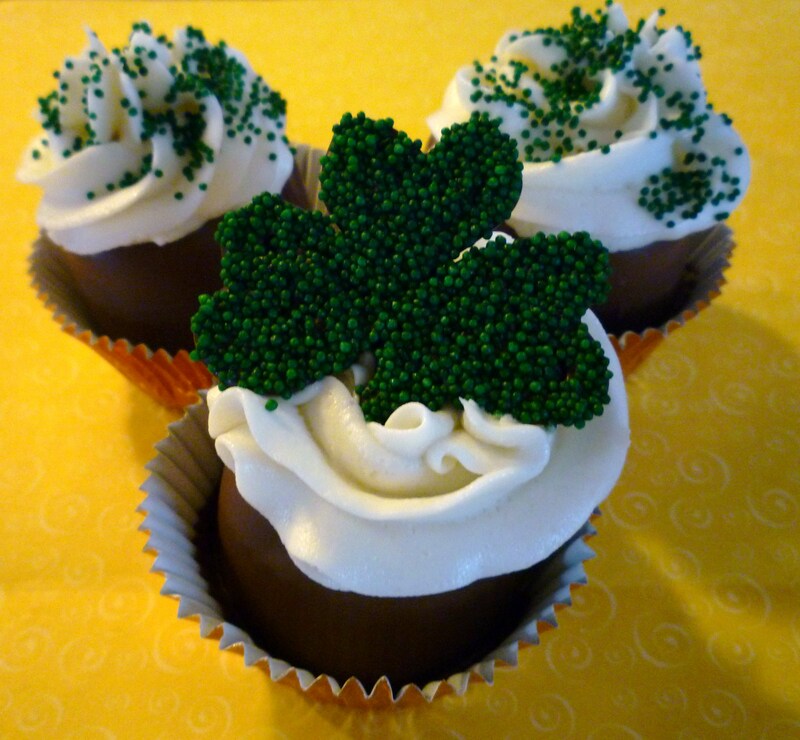 St. Patrick’s Day is Thursday, March 17. 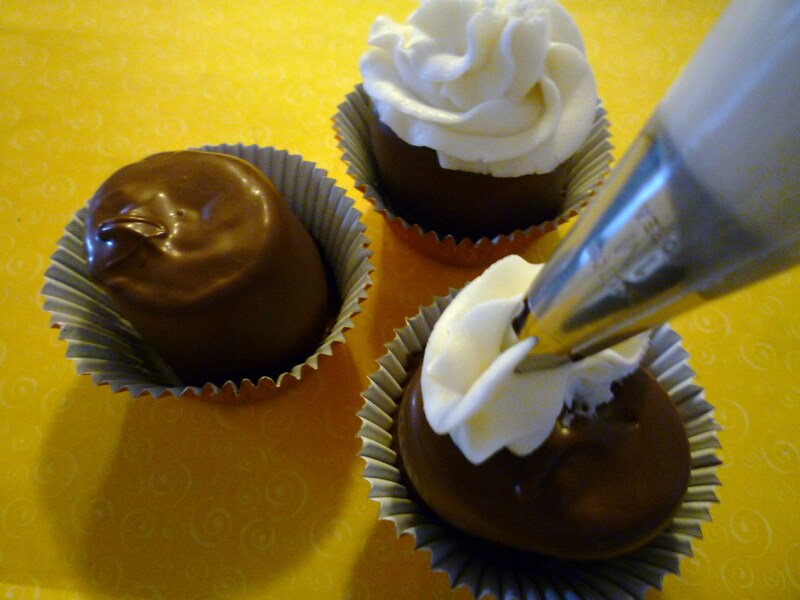 Here is an easy NO BAKE CUPCAKE that you can whip up very quickly. First of all, have you seen these gigantic marshmallows? I found them at Target and have become obsessed with them. I have so many ideas for these wonderful marshmallows. These are made by Kraft, but I’ve seen other brands. There are even some that are flavored. This idea can be adapted to fit any occasion. Make it even easier by using pre-made decorations. 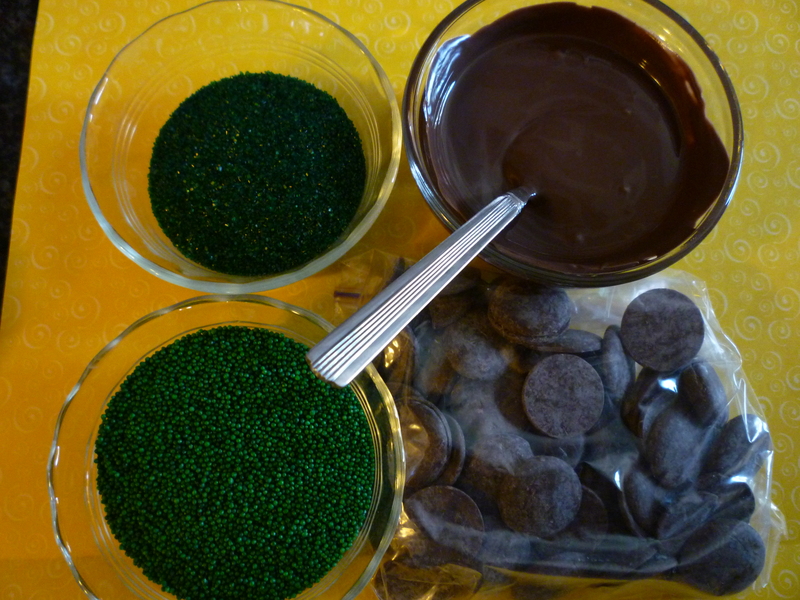 This is what you will need to make the cupcakes and shamrocks… Jumbo marshmallows, melted chocolate (see how to melt at top of page), cupcake papers, frosting (oops…forgot the photos), nonpareils or colored sanding sugar. 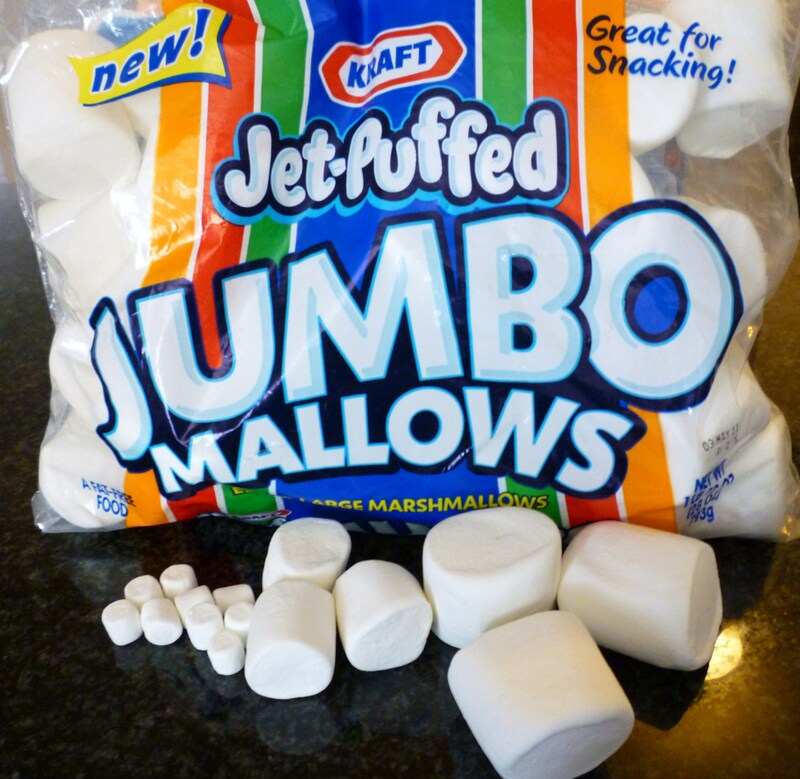 I am showing 3 sizes(miniature, large and jumbo) of marshmallows so that you can compare them. 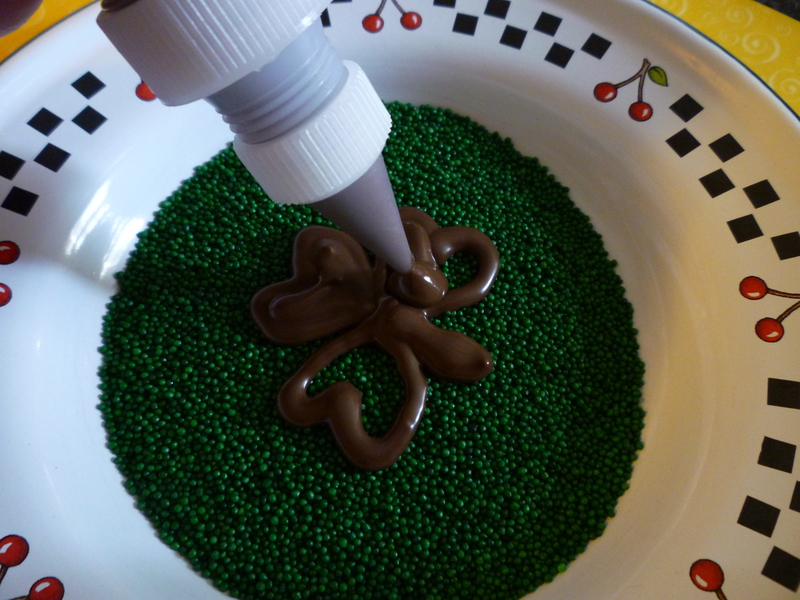 Put the nonpareils or sugar in a shallow bowl/plate and pour the melted chocolate in a squeeze bottle. 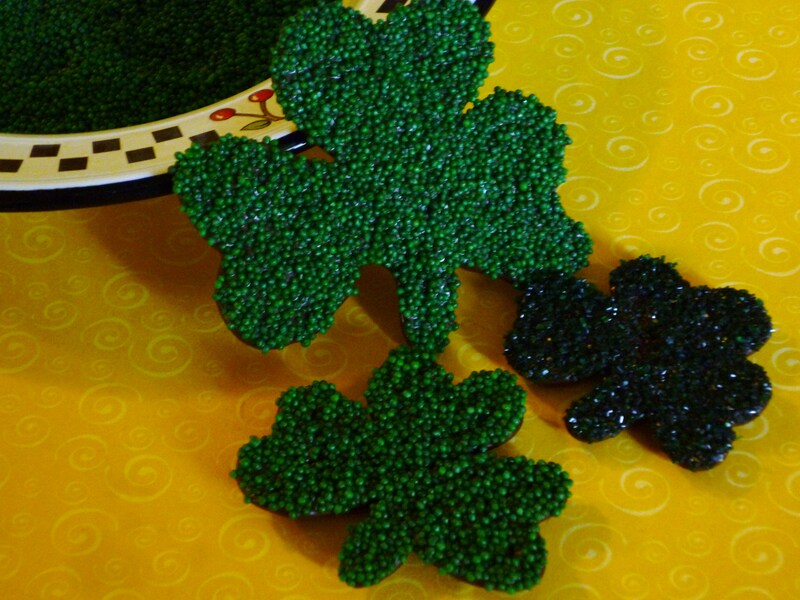 Pipe the shamrocks right on the nonpareils (3 hearts and a stem). Pop them in the freezer for few minutes. 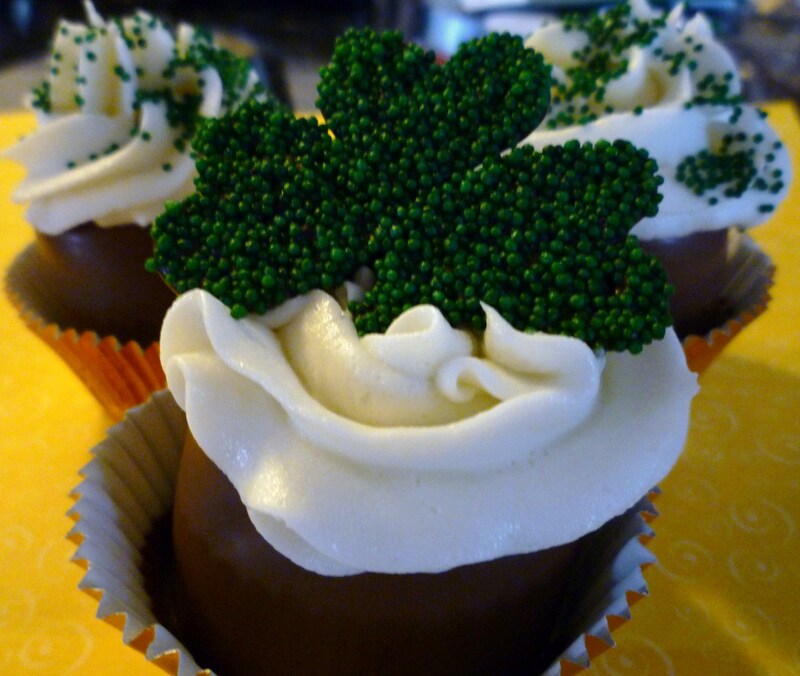 You have made chocolate shamrocks! 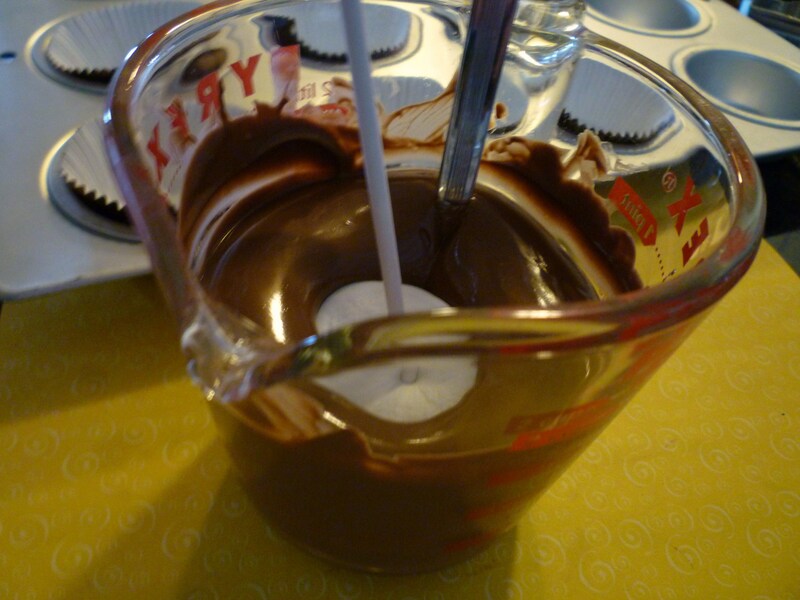 Tap off excess chocolate and place the marshmallow in a cupcake paper. 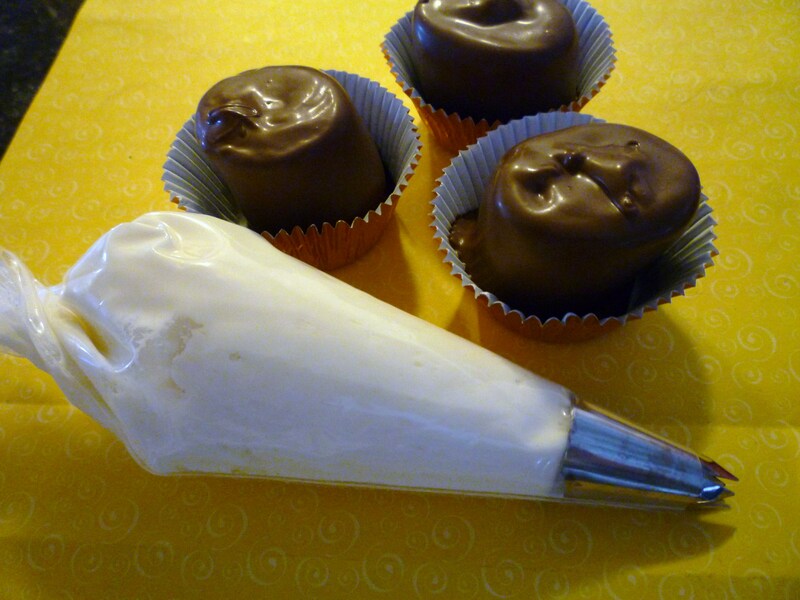 Use a spoon to help get the marshmallow off the stick and make sure that all of the marshmallow is covered by chocolate. Pop them in the freezer for about 5 minutes or 15 minutes in the fridge. It is time to add the frosting! I have included a few icing recipes or use ready made. 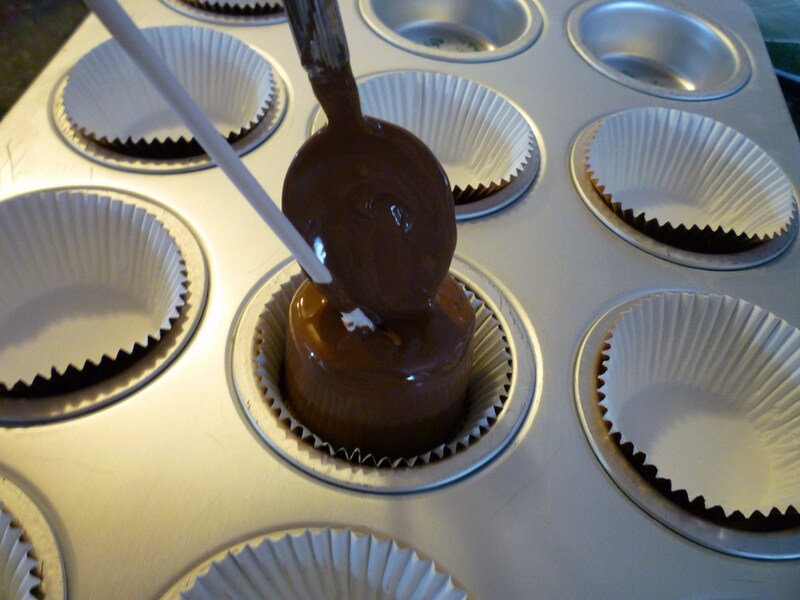 Put your decorating tip (I used #1M or #2110) in your pastry bag and fill with frosting. If you don’t have a bag or tip, use a Ziploc bag and snip a corner (about 1/4″) off. Pipe a swirl on top (start on the outer edge and work toward the center). In a mixing bowl combine 1 pound powdered sugar, 1/4 teaspoon salt, 1/4 cup milk, 1 teaspoon vanilla, 5 tablespoon softened butter. Beat until smooth (remember to scrape the bowl). In a large mixer bowl with paddle attachment, cream butter, sugar, meringue powder and 1/2 of the cream. Add salt, flavorings and enough cream to make the consistency you desire. Beat at medium speed until icing is fluffy. *You may substitute vegetable shortening (Crisco) for part or all of the butter, but it will result in a different texture and taste. In a mixing bowl, combine 8 ounces (1 block) cream cheese*, 4 tablespoons (1/2 stick) butter, 1 teaspoon vanilla and 1 pound powdered sugar. Beat until creamy. * You may substitute neufchâtel (light) cream cheese.